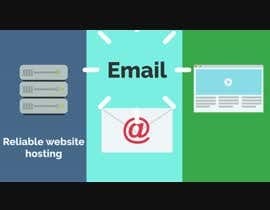 Hi, I want a memorable 20-30 second ad for my web hosting businesses YouTube channel. I want the ad to mention hosting services and somehow incorporate our mascot The Web Doctor. I don't care if he kicks open a door and punches an alligator in the nuts - I wanna see something that's going to make people laugh their butts off. Please - no use of actual animals in your production. If you do decide to go with the alligator use a cartoon or a guy in a costume - no real animals, please. It does not HAVE to be a doctor kicking a door and punching an alligator in the balls - what I want is something memorable so feel totally free to take artistic license and show me how your idea can achieve better sales! I'm open to ideas - the end goal is to achieve high visibility with a memorable ad and in the process net sales. That means this ad can't be offensive but should be funny. Something zany and memorable like that. I'd like for the commercial to utilize real actors since I feel personalization is very important. There have been a lot of funny and memorable commercials for various services - this is an opportunity to get your talent out there and prove it's effective. Of course, if the commercial is effective and picks up traction resulting in more sales, I would pay more for follow up commercials. Right now though all I really have is a business and a dream - not much marketing. working. please don't close till the end. No worries - I'm excited to see all the entries! Hello, I have two original creative hilarious ideas for the commercial !! & I have the equipment to film a professional video ( using actors and directed professionally ). So, if want something like that u should #increaseprize to be about 250 - 400 USD and i'll submit my work in 3 or 4 days maximum in 4K resolution, thank you. Hey man, wish we could - at this juncture $50 is all we got :-( Can you whip something up for $50? Improv is going to win this contest. Just 10 days remaining. I wish everyone the best luck on this, it's really not alot of money upfront so you have to be creative. We liked the video with the yaks but it disappeared... Anyway - Good Luck! Ping me up buddy! I can see that you need something interesting but what exactly you need us to make..
Well, I understand where you're coming from, but beyond an alligator getting punched in the balls I can't think of anything particular that we want... Just something zany and crazy funny that introduces people to our web hosting business. It would be great to see live actors doing this, but KICK the door open then punch alligator in the balls. If the alligator explodes when The Web Doctor punches him that would be a bonus!